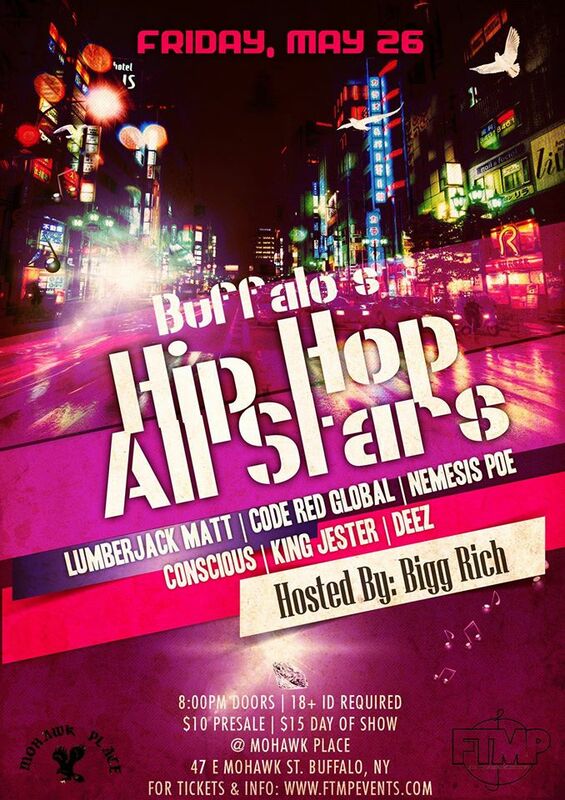 BUFFALO -- The Buffalo Hip Hop All Stars 2.0 show at Mohawk Place on May 26th is looking for two final acts to fill out the bill -- and it's up to voters to determine who those artists will be. Already booked in this incredible show is DeeZ, Code Red Global, Nemesis Poe, King Jester, Conscious, and Lumberjack Matt ... and it's hosted by Bigg Rich. Nominated to join them are Jottibee, Yung Cardo, Breezy Kokaine, BrownieBabyy, Lucky, King Juno, Polari$, and Telly Da don. But only two can do so. Voting will run through April 7.